Did you forget the WiFi password to connect a new device to the internet? If you are connected to the wireless network then the WiFi secret key is already saved on your system. Yes, you can view connected WiFi password easily on Android (no root), iPhone, Windows and Ubuntu. 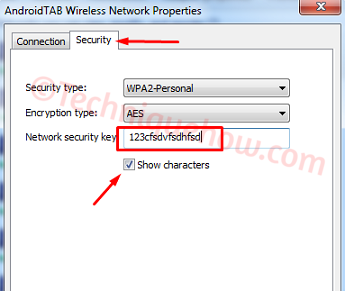 All the methods to show WiFi password can be followed easily. If you are on PC then the process is more simple to get the WiFi password in few seconds. Yet, some users hide WiFi SSID even after protecting the network with a password. 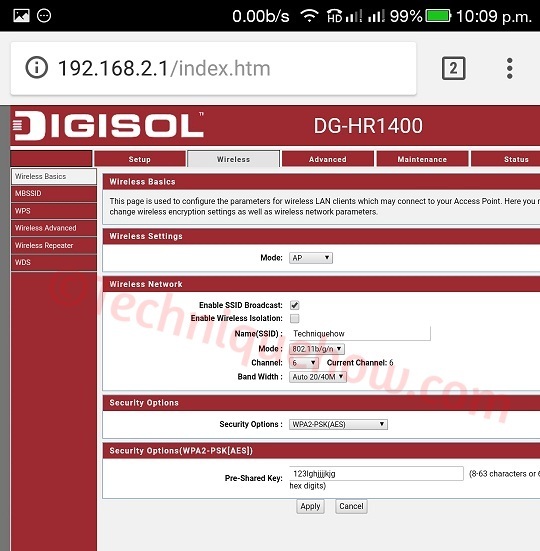 Besides, finding the WiFi password from a connected device, you can view the wireless network password from a disconnected device also. Now, for Android, there is no need to root the devices. You can view the saved WiFi security code on Android in two ways, without rooting the device. However, you may need the help of some apps in the case of Android mobile. The procedure will be the same on the iPhone (iOS) also. For Ubuntu OS, you can also see the saved password easily by opening the wireless settings there. Overall, the methods are really simple and easy to execute. You can also find the WiFi key using CMD (command prompt) on Windows OS. 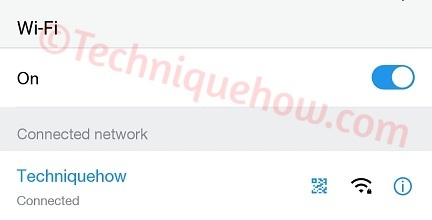 However, on the desktop, you can use Network and Sharing Center settings to view the saved password on Windows 10 & 7. Also, the tool can do that easily. Finding the WiFi password on mobile is quite easy. You can do this by following any of these two ways. Either, you can find the password scanning QR code to text or you can find the password from Router admin panel using your phone. You can perform these procedures on both iPhone and Android devices. At first, open the connected WiFi page which displays the SSID. Then, click on 'i' symbol to view information. You will see IPv4 address there. Just note the address and at the last replace with '1' and the then open the address from your browser. e.g. Here address is 192.168.2.2, now replacing the end with '1', it will be 192.168.2.1. Let's open the IP address (192.168.2.1) from your browser. Now login to open the router admin panel. Now go to Wireless basic settings page to view the password. If you find it is as '****' just tick the option to unhide that. By this way, you can view the WiFi password easily from your Android or iPhone devices. No need to do any root and any apps on this method. Note: If you are on Guest network, you would not be able to open admin login panel. In this case, method 2 will help you to view the saved password. At first, open the WiFi page to see the connected network. 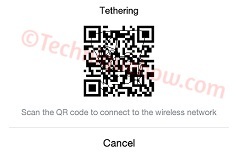 Now besides the SSID, you will get QR code icon. Just click on it. This will open a QR code. Just take a screenshot of that QR code. 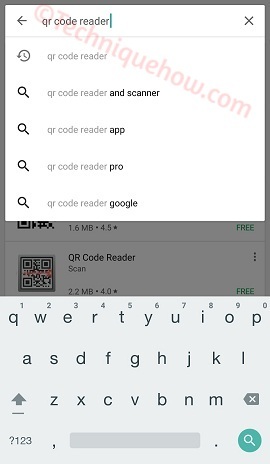 Now open play store and search for 'QR code reader'. 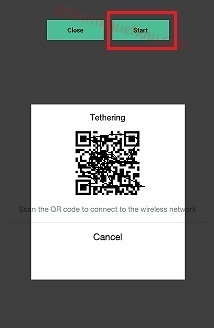 Now install the 'QR Code Reader' offered by TWMobile. Now open the app and click on image icon to add a QR code image. Now once you add the image that contained the QR code, just click on Start. 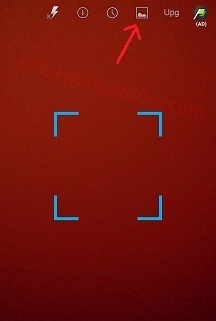 This will scan and convert that image into the text where the saved WiFi password will be displayed. That's all. It is more secure and easy to follow. How to Find Saved WiFi Password on Windows 7? Windows OS provides the options to view saved WiFi password for an SSID in both connected and disconnected situations. 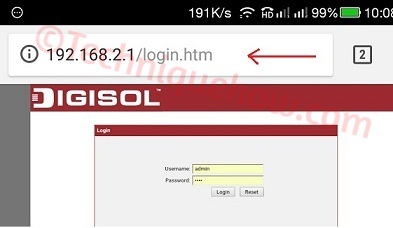 Means, along with viewing the password of a connected network, you can also view the wireless key of a disconnected network also. How to Use Command Prompt to See Saved WiFi Key? 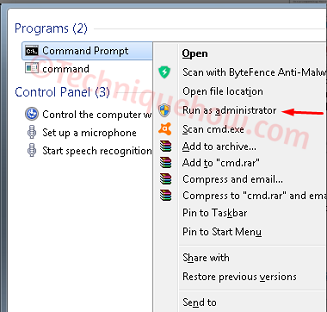 At first, find & right-click on command prompt and click 'Run as Administrator'. 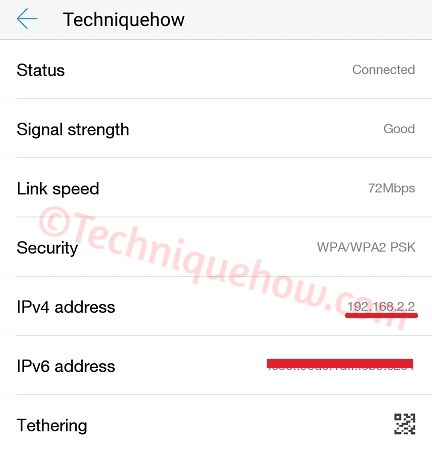 Now, type: NETSH wlan show profiles and click Enter. This will open up all Networks on your PC. Just choose the Wireless network which you want to show the password for. 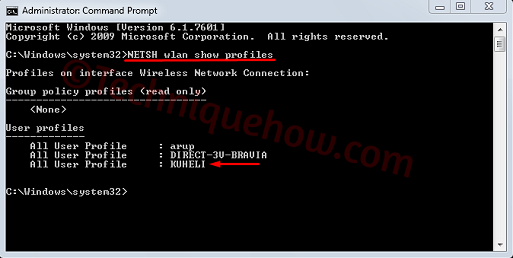 Now type: NETSH wlan show profiles kuheli and hit Enter. (kuheli is my WiFi network). Then you will see, Security key is Present for the network. 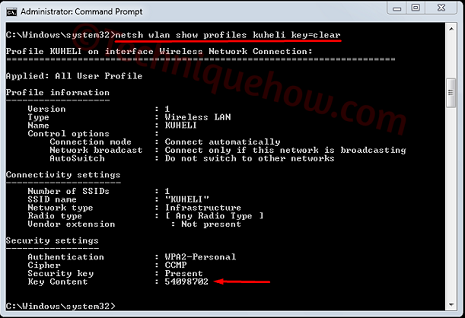 To the security key for that wireless network just type this command: NETSH wlan show profiles kuheli key=clear and hit Enter. This will show up the saved password for that WiFi network. 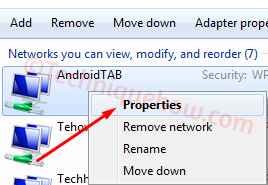 How to Recover Saved Wireless Network Password on Windows 7? At first, click on 'Windows Start' icon and search for 'Manage wireless networks'. Once found, click on that. Alternatively, you can find this in 'Control Panel'. A new window will appear and all the wireless networks along with the active network name will be shown there. Just right-click on the network SSID and click on 'Properties'. Then click on the 'Security' tab. Just give tick on 'Show characters' and you will see the saved password of that WiFi Network. So this is how you can find Wi-Fi network password with the help of Windows OS (operating system) settings. 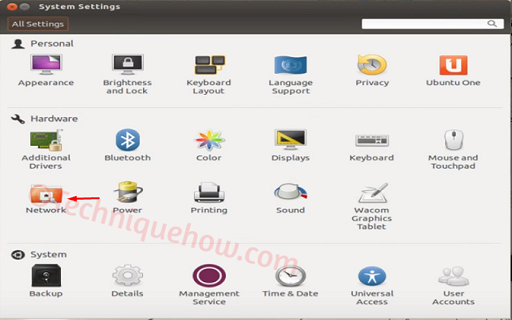 How to View Saved Wireless Security Key on Ubuntu? If you are using Ubuntu on your PC then you should do the following steps to view the saved WiFi password. At first, open 'System Settings' on your Ubuntu PC. Then click on 'Network' option. Now on the 'Network' window, click on 'Wireless'. This will open SSID details. Next, click on 'Options' button. On the new window, click on 'Wireless Security' tab. Just click on it. Here, your WiFi password is present. Now tick the 'Show Password' option and the key will be displayed in text. That's all you need to do to see the saved password on Ubuntu. 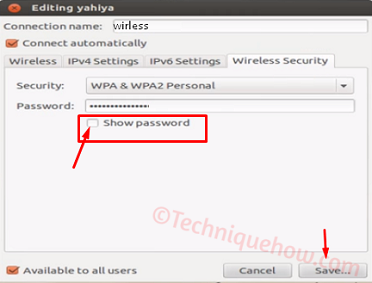 In this content, we have discussed all the methods to view the saved WiFi password for all type of devices. Just follow the guide step-by-step to get the wireless key quickly.